The demand for non-invasive cosmetic procedures is constantly increasing, but the one treatment that has seen the most significant growth in popularity is non-surgical skin tightening. The laser skin tightening procedure is a non-invasive solution to tighten skin and restore a healthier, more youthful appearance. The treatment works by heating the collagen under the skin’s surface, thus encouraging collagen production and causing the skin to contract (tighten). The effect is noticeable immediately after the treatment, and there is virtually no downtime, making this an increasingly popular procedure. Laser skin tightening treatment stimulates the growth of new collagen in the treated areas and promotes the absorption of more collagen from surrounding, untreated areas. With the regeneration of natural collagen, patients immediately begin to notice smoother skin, with improved tone and texture. The effects are progressive and continue to improve over the next few months following laser skin tightening treatment, as the skin’s natural stores of collagen are gradually replenished. Optimal results usually require two or three treatments, spaced about a month apart. Laser skin tightening is an FDA- and Health Canada-approved method for the reduction of fine lines, wrinkles, and skin laxity. While laser skin tightening results may not be as dramatic as those of a face lift, patients enjoy significant results with no follow-up care or downtime. An added benefit of laser skin tightening is that it is safe and effective for restoring a firmer, more youthful appearance to skin in various areas of the body. The fractional laser component of the Icon™ laser system causes the physical breakdown of collagen, resulting in rebuilding and resurfacing of the skin to yield a smoother, more refined texture. The Icon ™ system delivers pulsed laser light energy to facial skin around the eyes, lower face and jawline and neck area, resulting in a significant rejuvenating process, which restores elasticity to the skin that has been lost due to years of sun exposure and the inevitable effects of age. This fractional laser technology uses microbeams or columns of energy that extend through the skin’s epidermis into the dermis to target areas of affected tissue, while leaving the surrounding skin unharmed, resulting in faster healing. The laser skin tightening treatment stimulates the production of new collagen and elastin deep within your skin. Over time, this collagen production will build up the support structure beneath your skin, resulting in increased volume and a smoother, fresher-looking appearance. 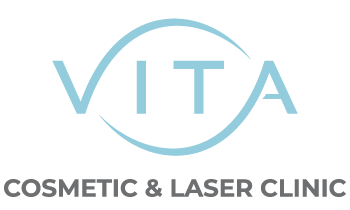 To find out more about our wide range of non-surgical fractional laser procedures for skin tightening, please contact us to book a free consultation.